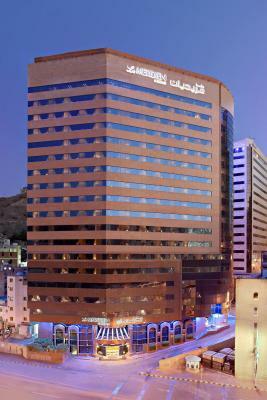 Lock in a great price for Le Meridien Makkah – rated 8 by recent guests! 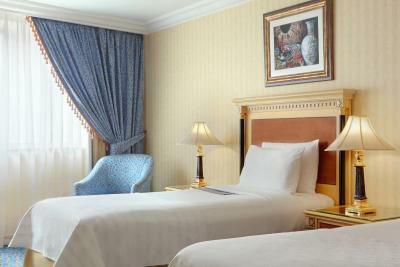 In close proximity to the Haram, nice and comfortable room, courteous and polite staff. Proximity to the Haram is the best part of this property. The room was quite nice and bedding was comfortable. Location is near to Haram, although it says 5 star but I will say this is a 4 star experience, the value for money is just ok. The room was fine, facilities were good, staff was good but for the overall experience I wont say it exceeded expectations. The location from haram and the breakfast was very good. Fast check in and check out, comfortable , quite rooms. Close to Holey Haram. Room was ready before even check in time ( They allowed us for early check in. 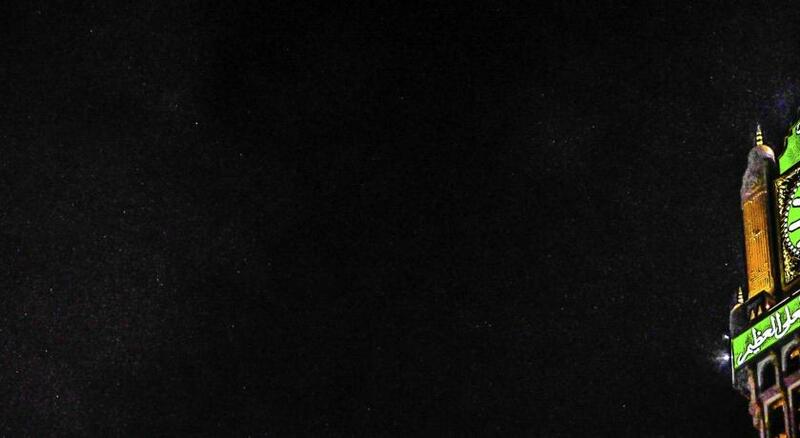 Quick check out. They upgraded our room also. Staff are friendly. Room service is quick. We have got free dinner in addition to the breakfast. Dinner was delicious although limited menu but it was good fresh and clean. My room was upgraded by the hotel staff. Really appreciated his kindness and professionalism. Breakfast was excellent. The location makes it easy to get taxi to anywhre you like. 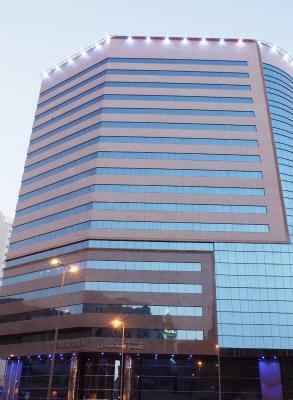 Le Meridien Makkah This rating is a reflection of how the property compares to the industry standard when it comes to price, facilities and services available. It's based on a self-evaluation by the property. Use this rating to help choose your stay! 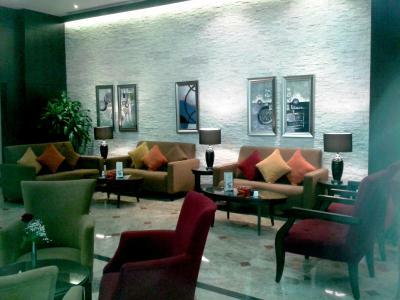 One of our top picks in Mecca.Featuring partial views of Al-Masjid al-Ḥarām (Holy Mosque), Le Meridien Makkah offers 2 restaurants and luxurious rooms decorated with rich fabrics. The King Abdulaziz Gate is just 650 feet away. 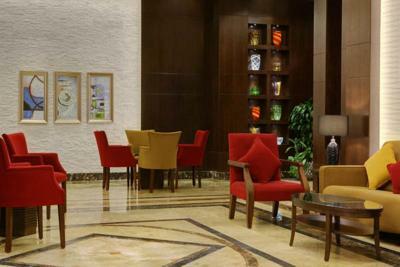 The Meridien Makkah Hotel has rooms and suites, which are elegantly decorated and equipped with a mini-bar and satellite TV. 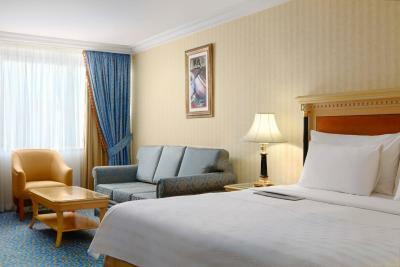 In-room-dining is available 24 hours a day. 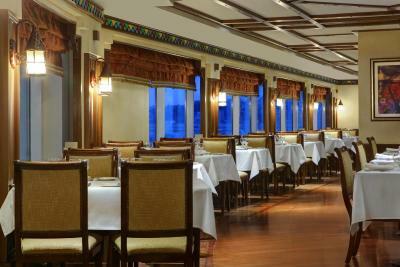 Apart from the Asian Shahd restaurant, the Rand Restaurant serves a variety of Arabic and international dishes. Both restaurants offer splendid views of the mosque. 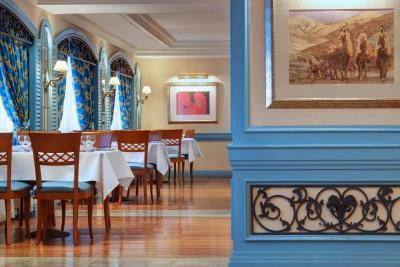 For tea with pastries, guest can visit the Majaz Café. 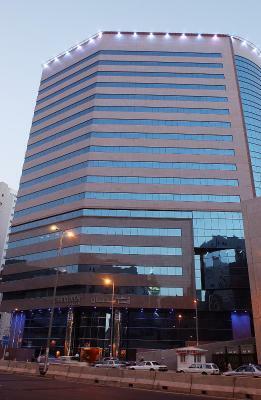 Other facilities of Le Meridian Makkah include a business center, a barber shop and 24-hour security. Jeddah City is located 53 mi away. 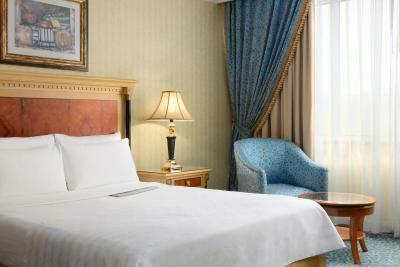 When would you like to stay at Le Meridien Makkah? 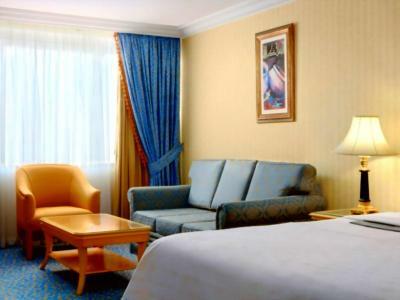 Featuring a partial Haram view, this air-conditioned standard room features a flat-screen satellite TV, a safety deposit box, an iron and a mini fridge. 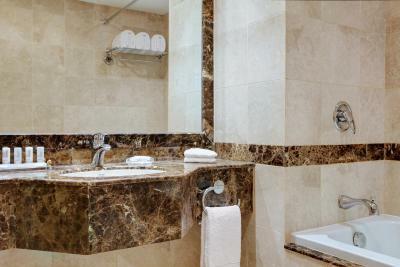 The bathroom is fitted with a shower and offers free toiletries, bathrobes, slippers and a hairdryer. 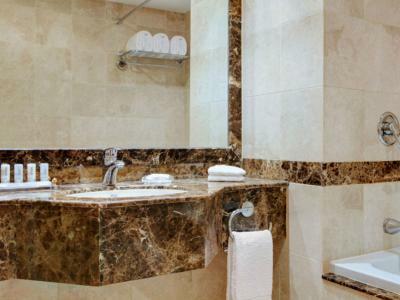 Featuring a city view, this air-conditioned standard double room features a flat-screen satellite TV, a safety deposit box, an iron and a mini fridge. 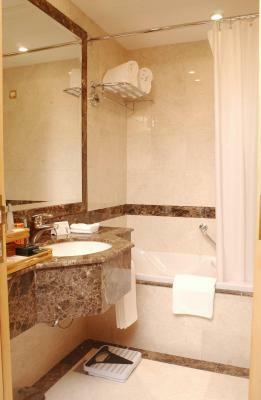 The bathroom is fitted with a shower and offers free toiletries, bathrobes, slippers and a hairdryer. 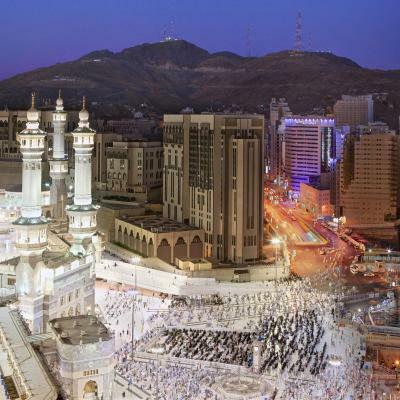 Le Méridien Makkah Hotel is only 150 metres away from the King Abdul Aziz gate and overlooks the holiest place on earth, Al Haram. 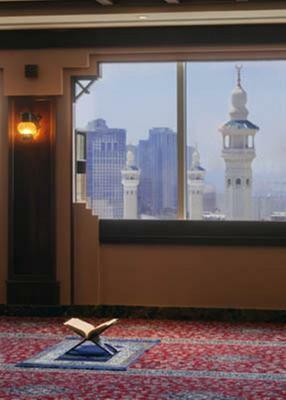 The hotel's immediate location on King Abdul Aziz St. provides convenient access to the Masjid Al-Haram and other Holy locations in Mina and Arafat. 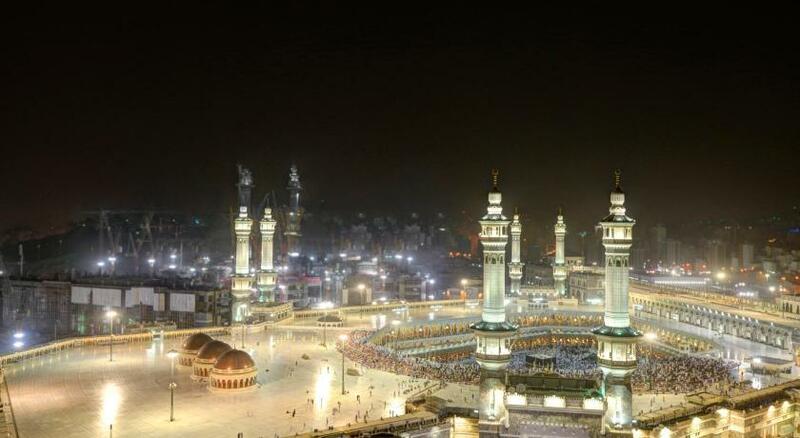 The proximity of Makkah Haram offers sense of spirituality and satisfaction. 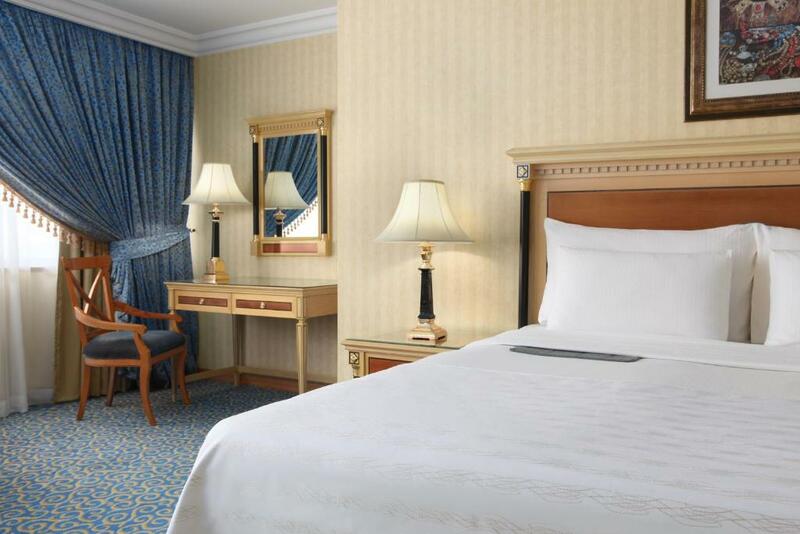 The hotel features 255 wonderful guest rooms and suites, providing luxurious accomodation and an impressive view of the Al Haram. Paid car parking is available. House Rules Le Meridien Makkah takes special requests – add in the next step! 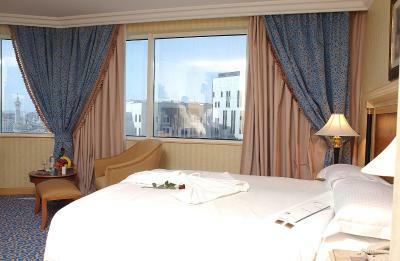 All children under 16 years are charged SAR 125 per night for extra beds. Le Meridien Makkah accepts these cards and reserves the right to temporarily hold an amount prior to arrival. Same menu of breakfast everyday.. Its quite boring when the breakfast almost same dishes for 8 days. It's worst hotel i have ever visited.